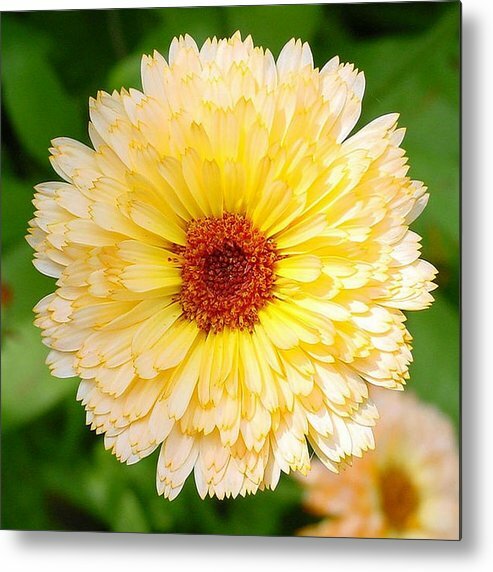 Beautiful Yellow Marigold Goldbloom Close Up by Taiche Acrylic Art - 8.000" x 8.000"
Beautiful Yellow Marigold Goldbloom Close Up metal print by Taiche Acrylic Art. Bring your artwork to life with the stylish lines and added depth of a metal print. Your image gets printed directly onto a sheet of 1/16" thick aluminum. The aluminum sheet is offset from the wall by a 3/4" thick wooden frame which is attached to the back. The high gloss of the aluminum sheet complements the rich colors of any image to produce stunning results. There are no comments for Beautiful Yellow Marigold Goldbloom Close Up . Click here to post the first comment. Marigold, also called calendula, is the October birth flower. Sometimes called �summer bride� or �husbandmans dial,� because it�s flower head follows the sun. The Marigold�s flower meaning is �winning grace.� Once considered the most sacred of flowers, in India it was placed around the necks of holy statues. Marigold is found through Europe, the United States, and western Asia. The marigold is an annual flower that blooms well even over a long season. They bloom practically non stop the entire summer and have few problems. Marigolds are good cleansers and can be remedies for the sting of bees. 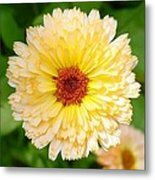 Marigolds are also known as calendula, garden marigold, holligold, goldbloom, golds, ruddes, Mary bud, bull�s eyes, and pot marigold.